Learn from speakers driving innovation and change in AI and ML. Validate your AI and ML roadmap. Emphasis on software engineering rather than data science. In a world where big data is continuously touted as "the new oil" and U.S. companies are shutting their websites down rather than following increased European privacy rules, why should we care or worry about privacy? Is privacy dead? If not, should we work to preserve it? In this talk, we'll dive into privacy for data science and why ensuring privacy for machine learning contributes to creating more ethical and fair models. We'll dive into research related to fair-and-private machine learning algorithms and privacy-preserving models, showing that caring about privacy and working to preserve user privacy in your machine learning workflows can help ensure a better model overall and support a more ethical product design. In the evening keynote for QCon.ai, Dr. Sengupta discusses the future of transportation with an eye towards how machine learning and AI will help shape our future. Dr. Sengupta is an aerospace engineer, rocket scientist, and veteran of the space program. She worked for NASA for 16 years where her engineering projects included her PhD research on developing the ion propulsion system for the Dawn Mission (currently in the main asteroid belt), the supersonic parachute that landed the Curiosity rover on Mars, and the Cold Atom Laboratory an atomic physics facility now on board the International Space Station. After leaving NASA she led the development of the hyperloop as senior vice president of engineering systems at Virgin Hyperloop, a technology that can enable ground based travel in excess of airline speed. Her current engineering adventure is designing electrified autonomous VTOL air taxis for urban aerial transport, as Chief Product Officer and Vice President of Business Development at Airspace Experience Technologies. As an engineering savvy executive and pilot, she is now leading the mobility solutions for smart cities by eliminating congestion and reducing the carbon footprint of air travel. 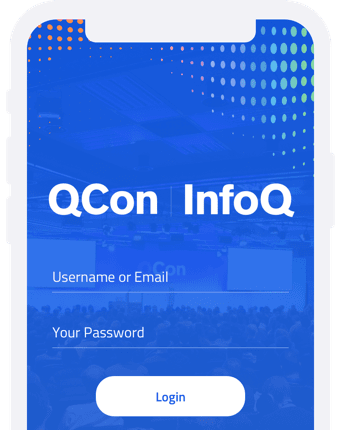 The new QCon app helps you make the most of your conference experience. Easily browse and follow the conference schedule, star the talks you want to attend, and keep tabs on your personal itinerary. Download the app now for free on iOS and Android. Augmented ,reality, Virtual,glasses by is licensed under CC0 Public Domain. At Niantic one of our missions is building experiences that are shared and social. We’ve seen how playing together has made an enormous impact in engagement in our games. Our players tell us that besides having fun, they have found benefits in making friends and building communities. To do so, the AR interaction has to be natural to our senses. The digital world must obey similar rules as the physical world in order to create the suspense of disbelief in our brains. When this balance is achieved, players are immersed in this magical realism where they can have frictionless fun (check out Codename: Neon, one of our prototypes that was created to demo this). The technology just works as expected, obeying laws of physics. For example, players in Codename: Neon can harvest energy from the white pellets on the ground, and those are a shared resource–so if one player gets them, the other players can’t! Artificial Intelligence & AI & Machine Learning by is licensed under CC BY 2.0. ML Engineering is a relatively newly defined role at organizations which often refers to a specific subset within a broad spectrum of skills in the goal of either building ML driven products or enabling ML capabilities across products. High quality talks from the innovators in the industry with no sales pitch. Helped me to get a much broader and deeper understanding on where AI is headed and some of the areas where it is actively applied. We know we'll meet and talk with experts, and short talks are extremely useful to introduce in-depth use-case studies. I was not disappointed and will definitely come back. QCon always has world-class speakers with relevant topics. You always learn new things and always go home with lots of ideas and inspiration how to improve your business. The conference arrangement is always very professional and you feel very well taken care of when attending a QCon conference. I have attended five QCons and never been disappointed. Not just fluff. I have confidence I'm seeing things that actually work in production and I can take back to my organization! QCon is more than merely a conference showcasing bleeding-edge technology. It links engineering problems to business problems with speakers that share real-world, working technologies and solutions in the emerging-to-early adopter quadrant. The lack of sales pitches. The technicality and depth of talks. I want a rigorous talk. I want experts to talk to me like an expert, and I got that. Is QCon.ai Right for You? 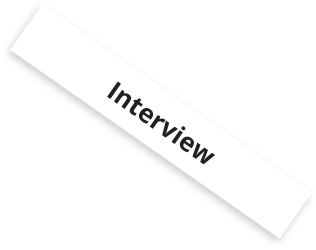 Why Senior Developers, Architects, and Software Engineers are looking for AI and Machine Learning Topics geared towards them? Machine learning is one of the trends that need your attention. We’ve all heard about deep learning and the cool stuff Google is doing with it, but I think that enterprise applications product owners will be asking for more of these features. While it’s not trivial to get into, I think machine learning is really a skill set that software engineers should acquire now. What I see as a major trend is that a lot of things (not everything, but alot of them) are going to become more and more driven by machine learning algorithms. If you care about your resume, it is going to look nice to say I have machine learning experience. What I’d like to look more into and spend more time on is the machine learning space. I keep running into problems in my current job that just feels like there is a machine learning solution to it. I think there is alot of value in spending time in that space. Software is changing the world. Software development is always evolving. And Software engineers continue to evolve with it. Before DataEng became a thing, we had DBA’s and ETL folks. Software Engineers became more involved with the work and created the DataEng field. Before DevOps, we had Operations/Systems Administrators. Software Engineers became more involved with the work and created DevOps. We are seeing the same thing happen in SecOps… security folks who have operational SE skillsets. Now, AI and machine learning are changing and shaping the future of software. Traditionally, this has been the field for PhD level data scientists. But as tooling and libraries are becoming more available and understood, that’s changing. Software engineers are moving into this field creating new roles, such as Machine Learning Engineers. Our hypothesis is that there are large numbers of software engineers who have the talent to harness data in how they work, but don’t know the right problems to solve with AI and machine learning in engineering. When should you use a machine learning algorithm? When is a rules engine the right approach? At QCon.ai, we’ll help senior software engineers and architects uncover the real-world patterns, practices, and use cases for applying artificial intelligence/machine learning in engineering. QCon has been delivering a platform for senior developers, engineers, & leaders to discuss software engineering worldwide for over 10 years.